Some of our intrepid competitors! 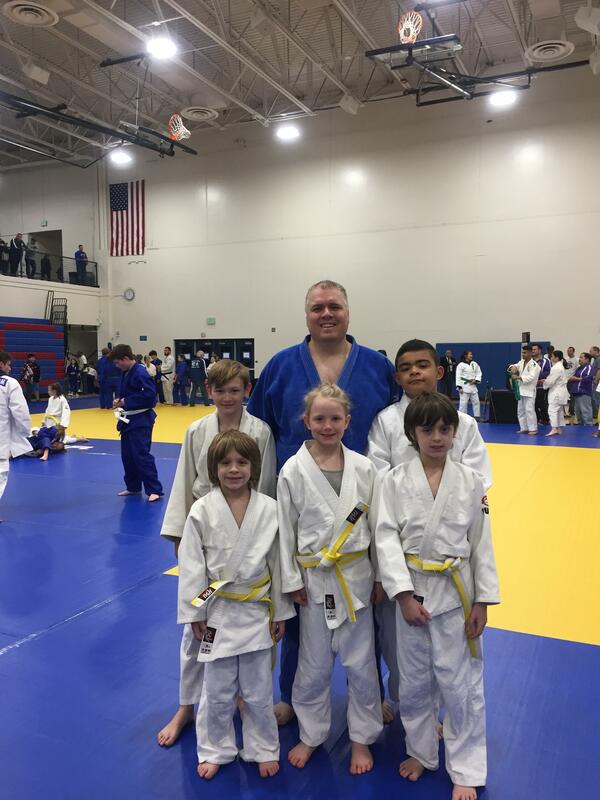 This weekend Spokane Judo has 8 competitors in the WA state championships. As a result, we are canceling practice on Saturday. Everyone should go watch the tournament and help out if they can. Entries must be received no later than April 30. The complete entry form is here. The entire packet is here. Everyone should compete. This is close by and a good competition opportunity. 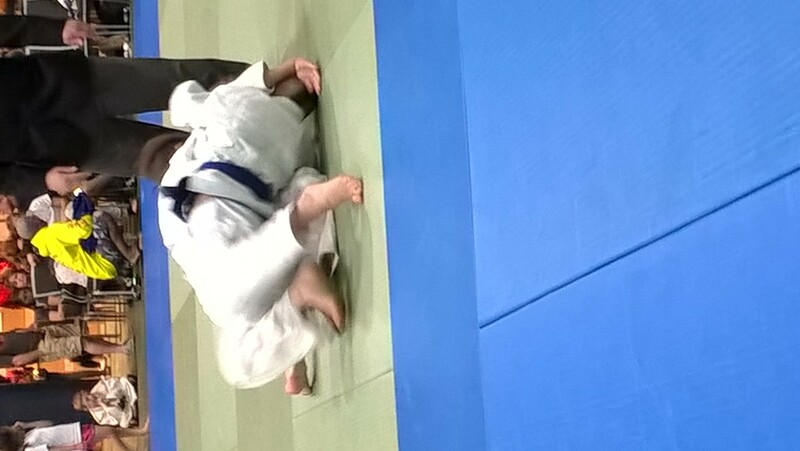 You should note that all competitors need blue and white gis. Also, as usual, the club will cover your entry fee. You need to register: here. This is a bit of a drive, but it is usually a larger tournament with people you haven’t competed against. The entire entry packet is here. 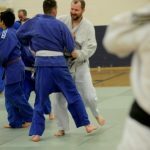 Tournament Site: PCC Cascade Campus Gym, 600 N. Killingsworth St.
Shiai: Registration (on or before Thursday March 21st): Enter tournament on-line at obukanjudo.org by March 21, 2019. Present printed and signed waiver form and copy of NBG card to satellite weigh-in. Entry fee is $40 for the first division and $20 for an additional division. Fee includes Eventbrite fee. Walk Up Registration (Friday March 22nd ONLY): Walk up registration and weigh in only allowed on March 22nd, 6:00 pm to 8:00 pm at the venue. Walk up entry fee is $80 for the first division and $50 for an additional division. 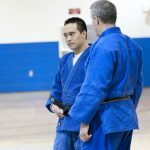 Kata: Registration (on or before Thursday March 21st): Enter tournament on-line at obukanjudo.org by March 21, 2019. Bring printed and signed waiver form and copy of NGB card to venue. 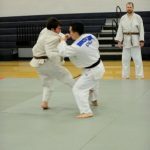 Entry fee is $60 per team for each kata. 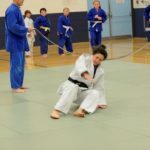 Teams can enter up to three kata. Nage no Kata, Katame no Kata and Ju. Walk up Kata registration only allowed on March 22nd, prior to competition start. This Sunday is the third East Side Tournament. This one is out at the Hub. You need to register on-line by Wednesday night here. Print out and complete the entry form and waiver. Bring the completed entry form, waiver, and copy of your USJF card to weigh-in at the club on Thursday evening. The club will cover the first entry fee. If you are competing in additional divisions, you will need to cover the $20 for the additional division. , 19619 E. Cataldo Ave.
You should plan on arriving no later than 8:30. Any questions, feel free to contact me here. participant for each additional kata. information to budokanseattle@gmail.com by 10:00 PM Wednesday, April 17, 2019. This is usually a good tournament. It is a bit of a drive, but it is a chance to compete against people you normally don’t see. You need to register on-line by 5:00 on Feb. 27. The club will reimburse the entry fee (the second division is no cost). This weekend is the second East Side Tournament in Idaho. You need to register on-line by Wednesday night here..
Saturday, January 19, 2019 is the second East Side Circuit tournament. Those of you that competed last time know the value in competition. You get the opportunity to test yourself and your judo against real opponents. Win or lose, you improve your judo and yourself. I encourage everyone to attend and get out on the mat. All of you have the ability now is the time to put it on the line and see what you need to focus on in the dojo. It starts at 9:30 but everyone should come early. All competitors should register on-line here. As usual, the club will cover entry fees.